Daniel’s dad was a great scientist. He developed a customized Vehicle for Daniel that could become invisible, change shape and start flying like an airplane; it could also be used as a normal car. Daniel spent seven years learning how to operate this complicated machine. Unfortunately, Daniel had a terrible accident that led to his complete memory loss. When he regained some of his memory, he only remembered basic operations of the vehicle; he didn’t know how to fly it anymore. For Daniel’s safety, his father had to temporarily disable most of the powerful functions of the vehicle, hoping that when Daniel fully recovers and remembers how to operate it, he would enable all the other functions. When man fell, the entire physical creation of God was brought under a curse because man was to be head over God’s physical creation. 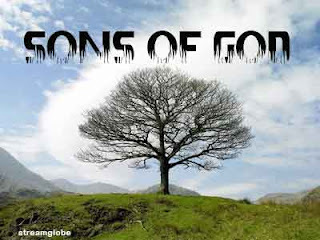 God did this in hope that in the fullness of time, when we have been redeemed and brought into the glorious nature of SONS of God, creation too will be free from the limitation that it suffers. The resurrection of Jesus meant this day will finally come. I believe this is one of the reasons the Lord didn’t say ‘preach the gospel to all people’ but He said ‘preach the gospel to all creation’ (see Mark 16:15). As you go into today, remember that what you have in Christ is more powerful than your mind can comprehend.